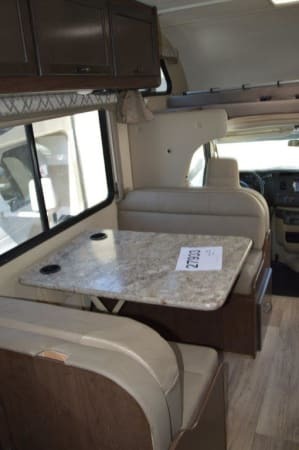 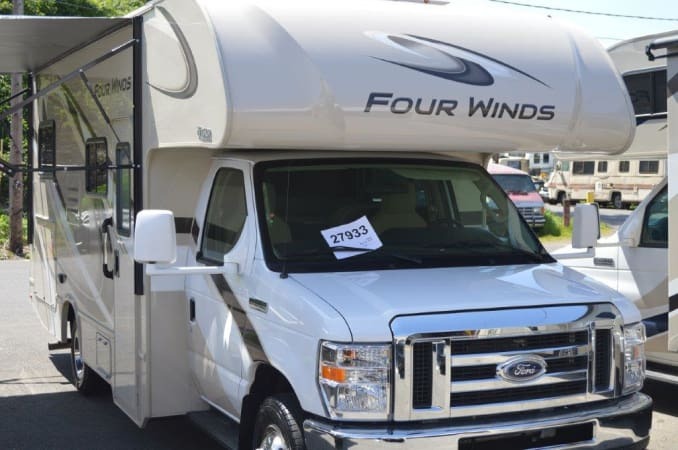 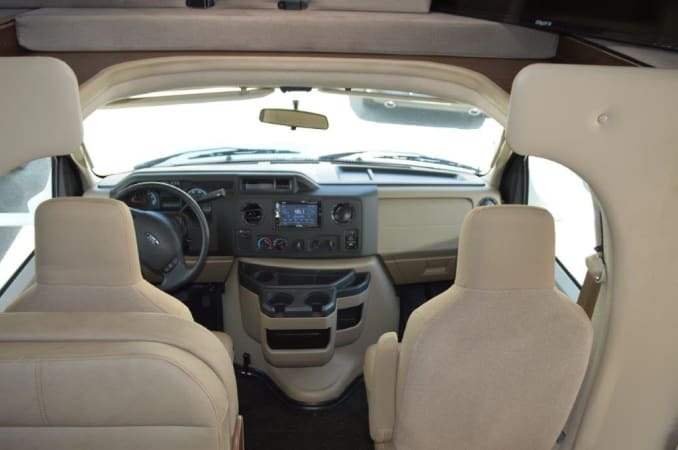 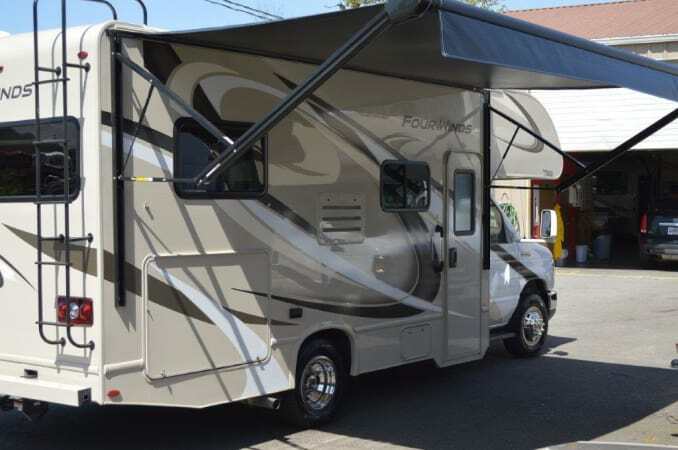 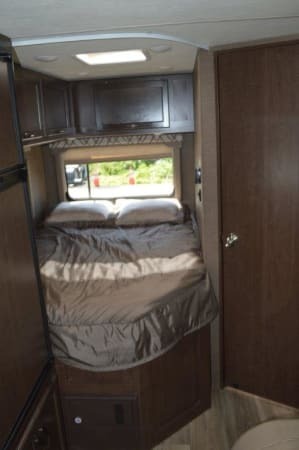 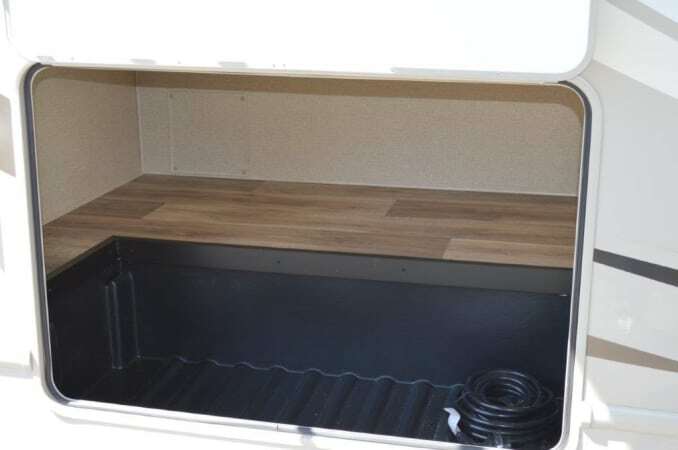 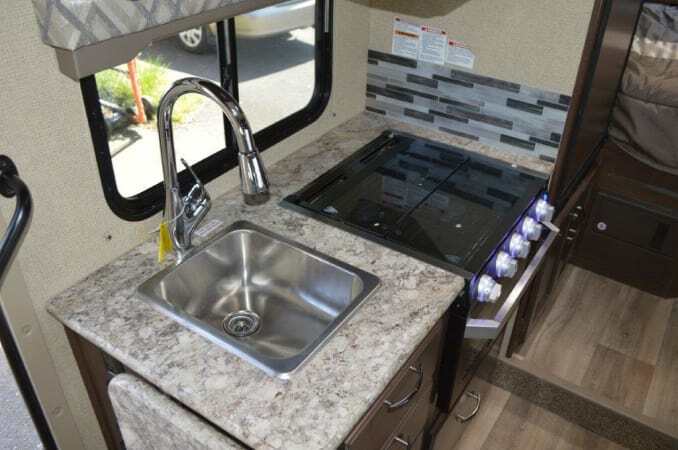 2019 Thor Four Winds 22 with a rear queen bed, cab over queen and a table that can be made into a double bed this can sleep a family of six with a total of three beds. 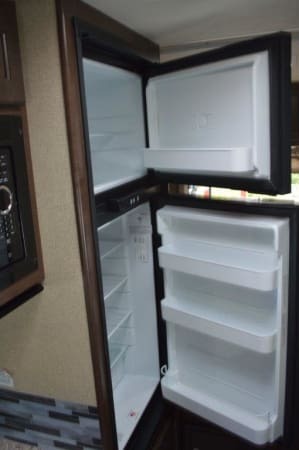 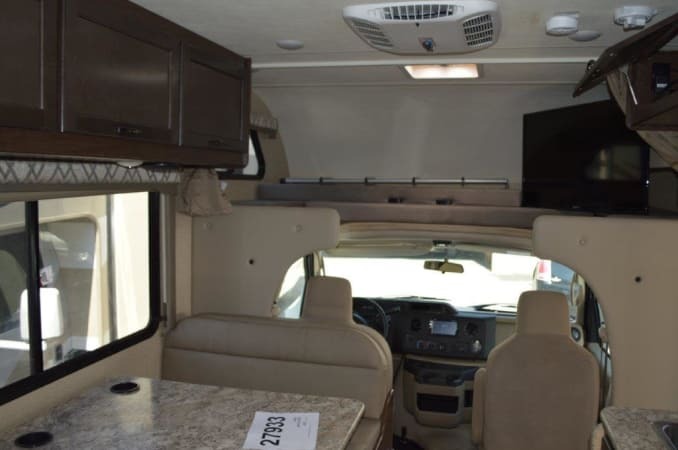 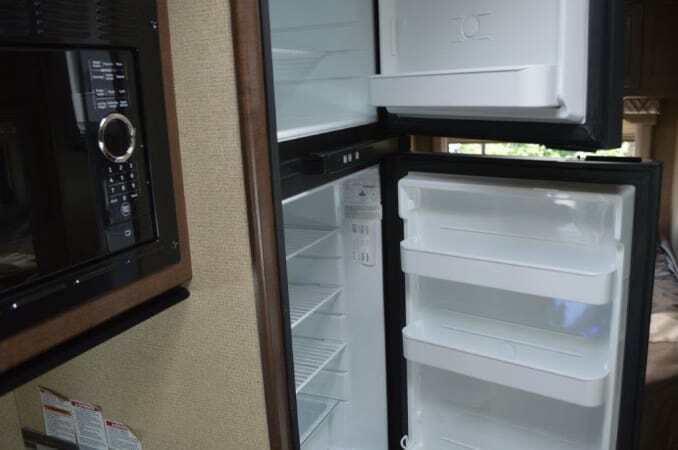 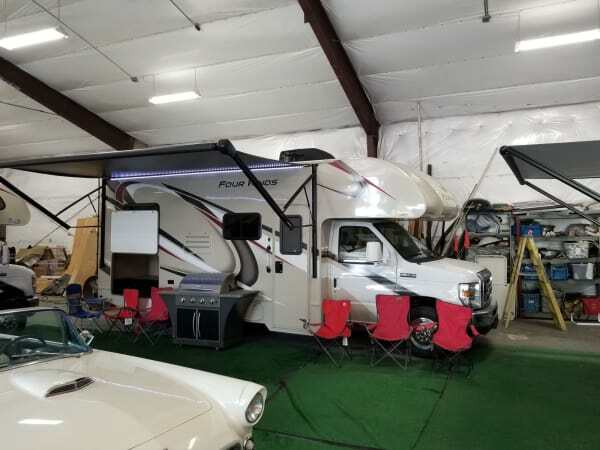 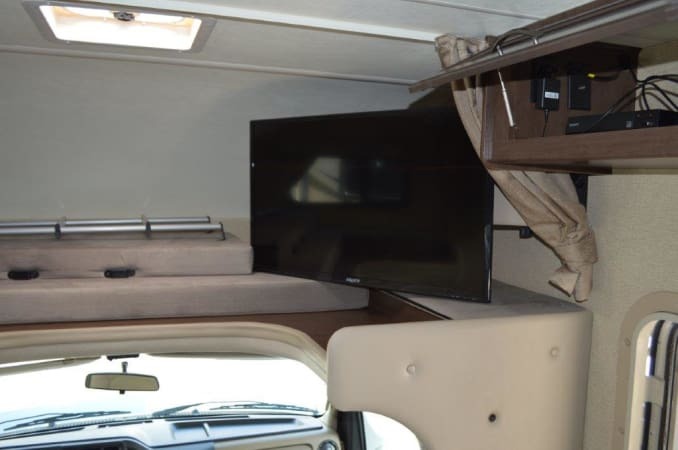 This motor home has air conditioning, on board power plant, electric awning, large 2 door fridge, 3 burner range & oven, micro wave, 32 inch TV with DVD, GPS, back up camera and a Ford V-8 gas engine with a towing package of 5,000 pounds. 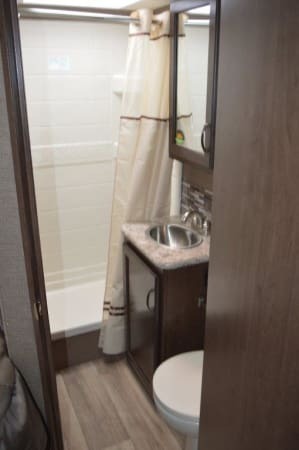 This motor home depending on the time of year is between $795.00 and $1,695.00 per week we take a $99.00 refundable interior cleaning deposit and a $169.00 prep fee that pays for check out and check in, chemical for the holding tank, exterior cleaning, propane and free generator use. 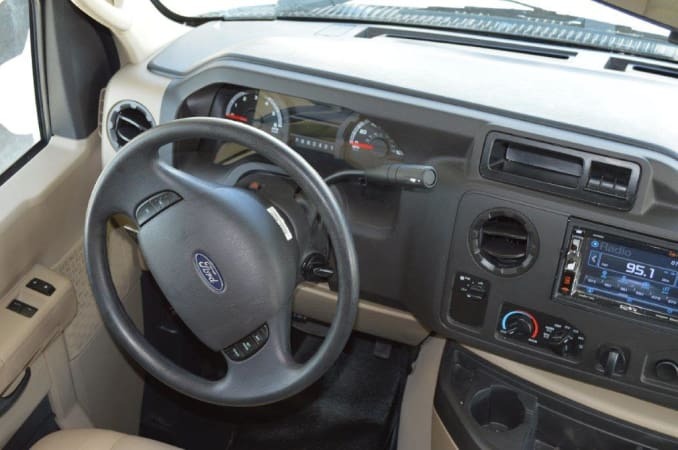 We have fenced parking for you to leave your car. 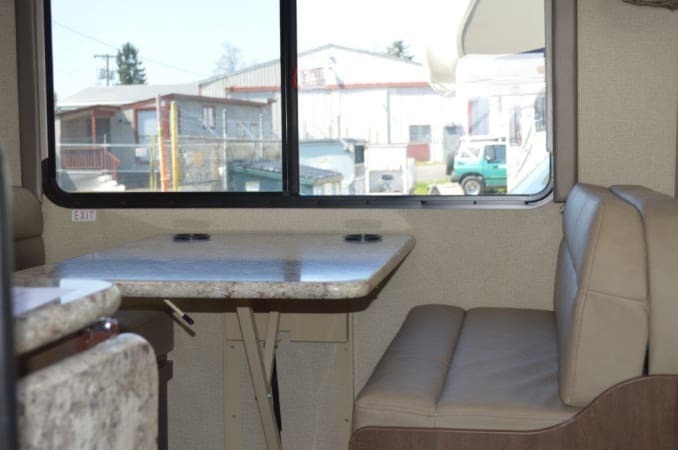 We have linen, lawn chairs, BBQ and kitchen packages available.